Iran's actions in Syria threaten not only Syria but also the Middle East and the wider world, Israeli Prime Minister Benjamin Netanyahu said at talks with Russian President Vladimir Putin on Wednesday. BOCHAROV RUCHEY (Sochi, Russia), (Sputnik) — Netanyahu accused Tehran of attempting to bolster its presence in Syria, effectively controls Libya, and is in advanced stages of exercising influence over Iraq and Yemen. "Mr. President, we are all jointly defeating [Daesh, banned in Russia] but the negative thing is that where IS is defeated and disappears, enters Iran," Netanyahu said. "We cannot forget for a moment that Iran continues to threaten the destruction of the state of Israel every day, arms terrorist organizations, encourages and initiates terror." Israel has been long opposing Iran's presense in Syria. In early August, the Haaretz newspaper reported that Israel, Russia and the United States held several rounds of secret talks in early July to discuss the Syrian issues. Israel at the time stressed the need to discuss Iranian presence on the Syrian territory, specifically the withdrawal of Iran's Islamic Revolutionary Guards Corps (IRGC), Lebanon’s Hezbollah movement and Shiite militias. Iran has been providing support to the Syrian government in its fight against various terrorist groups, including Daesh, and acts alongside Russia and Turkey as one of the guarantor states of the ceasefire in Syria. 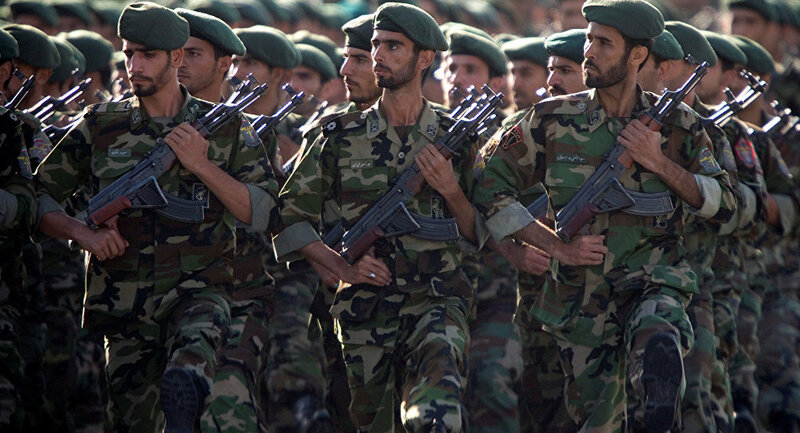 Tehran also refuted the reports that its military had conducted independent operations in Syria.